I was really productive this weekend (and a little today). 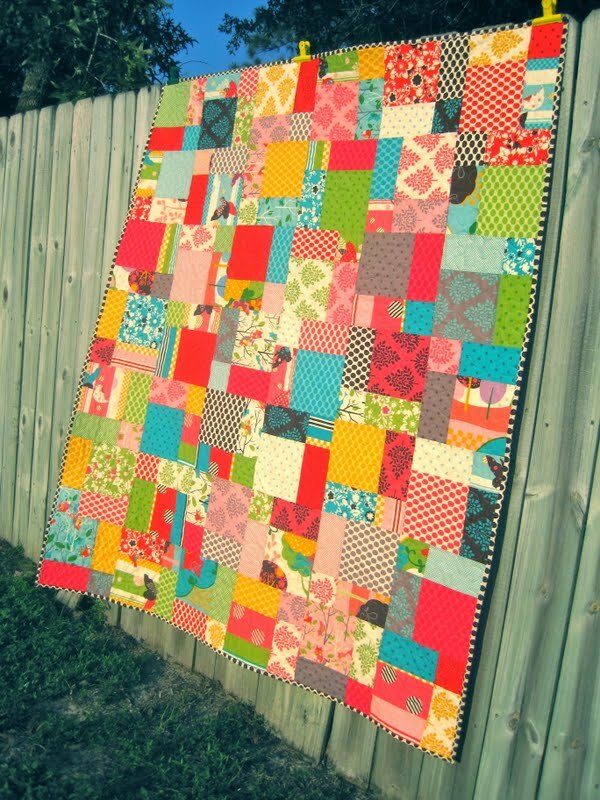 I finished THREE quilts! Two are custom orders and one is for the bazaar. This is the one for the bazaar. The fabric is Hunky Dory, except the binding which is Henna Garden in Spring. The pattern is from Camille's book, Simplify. Super easy and super fast! The color of this is off because the sun was setting. 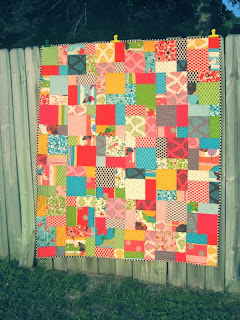 This It's a Hoot quilt is a custom order. The front and binding is from It's a Hoot, the backing is from Lizzy House's Red Letter Day. 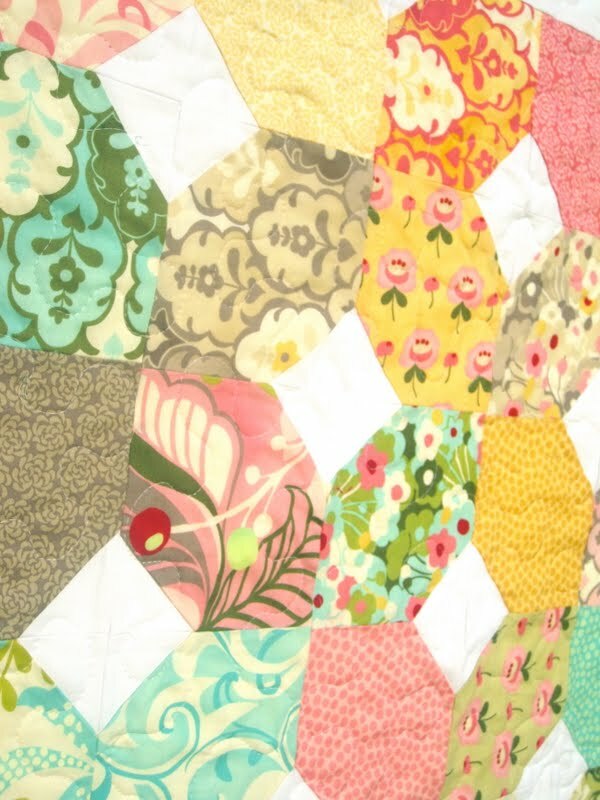 The pattern is Easy Bake (with a layer cake) from Cluck, Cluck, Sew. No, it's not a 9 patch. 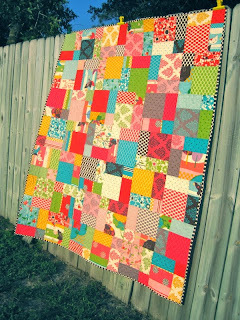 This one is another custom order from my friend, Sara, a photographer. 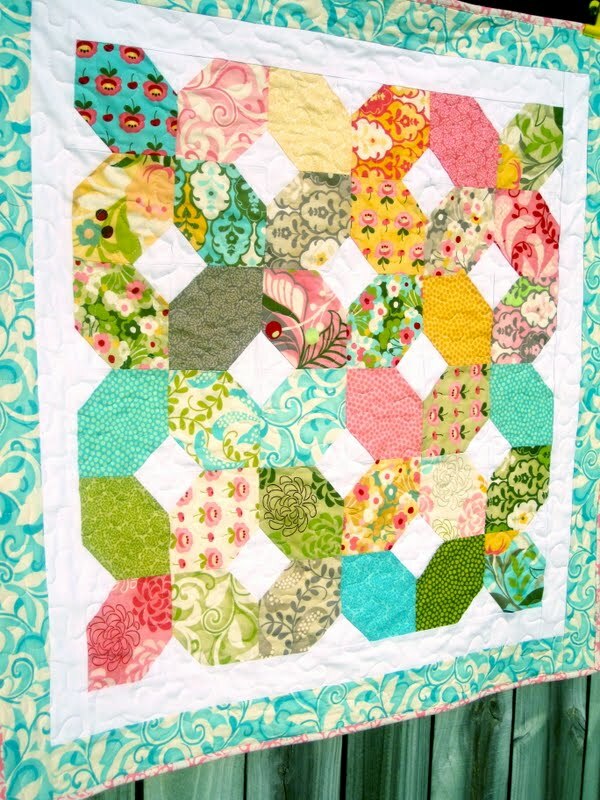 She really wanted a quilt with those 5 Amy Butler fabrics and she chose the Swoon pattern. While I love the pattern, I wish I would have added one additional print so that two of the same print centers wouldn't be next to each other. I love this quilt at a distance, but I'm not sure how much I love it up close. Also, I made the MASSIVE error of using white. Sara specifically asked for gray, but I had the white out for another project and must have been on autopilot! By the time I realized it, the blocks were half constructed! I gave her the option to back out, but she still loved it so all's well that ends well! I decided to make the back a little more special than the plain solid we agreed on since I messed up the front! I actually like this side better! Drat! geez kelly, super productive...tell me again what do you boys do when you sew? super jealous over here. wonder if its too late to find It's A Hoot cause i love it every time i see you use it! Love the it's a hoot quiltI have some of that fabric & I must get it out! But what I really wanted to say is thank you for the excellent tutorial on your sidebar for installing a zippered pocket in a bag. I used it over the weekend & it turned out perfectly! And it was easy! I'm all set to try it again. So as we say in Hawaii - Mahalo Nui Loa! Wowsa! 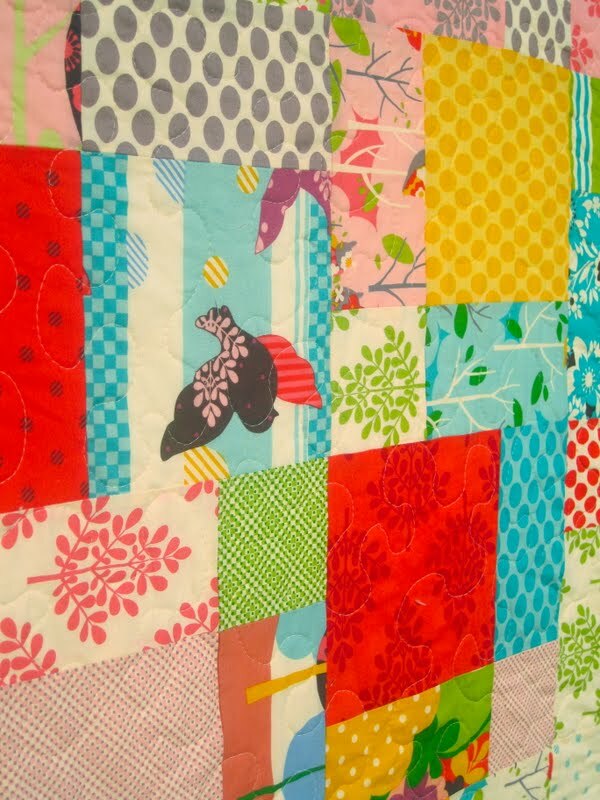 Three gorgeous quilts. I love the Amy Butler Swoon quilt--I will make that pattern one day. Oh, yes. I will. Way to go! It's all gorgeous. I totally get the autopilot white/gray mix up. I do stuff like that regularly!